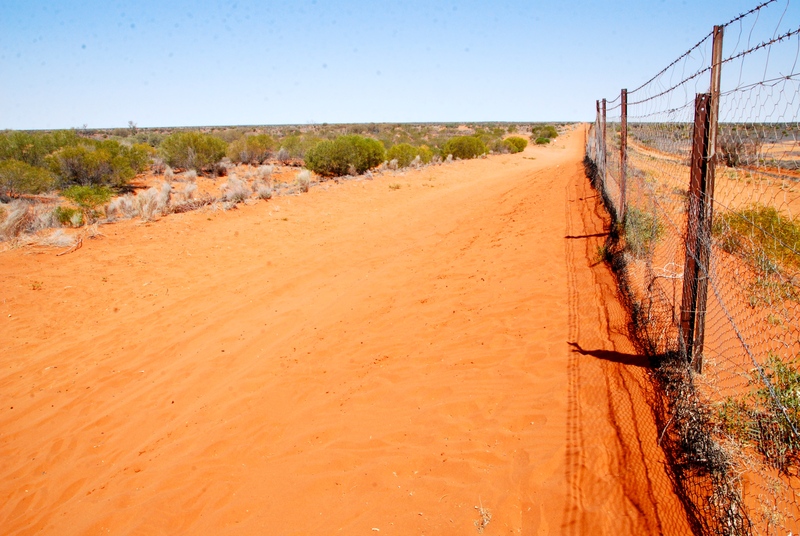 The Dingo Fence – also sometimes called the Dog Fence – runs for more than 5600 kilometres through Australia’s remote desert country and is the world’s longest fence. 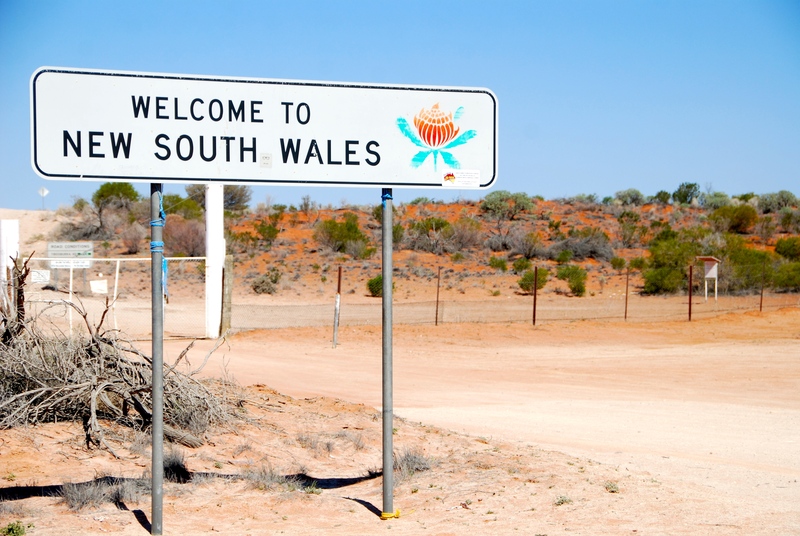 It’s one of those iconic places in Australia that avid travellers dream about getting to. And I did, a few months ago. An outback driving trip through part of north-western New South Wales brought me to Cameron Corner, the surveyed point where the states of NSW, Queensland and South Australia meet. And there I walked along part of the Dingo Fence, kicking up the red dust as I went. 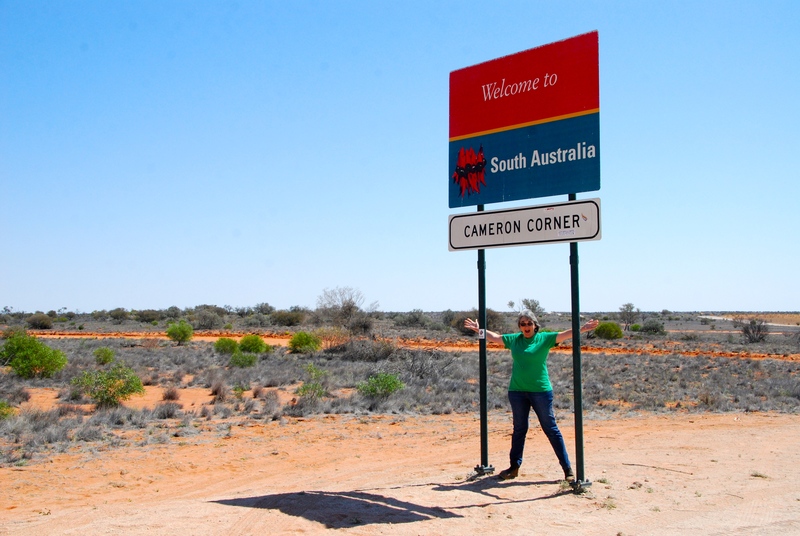 Cameron Corner forms the north-west boundary of Sturt National Park, at 340,000 hectares one of NSW’s largest National Parks. So when I learned from blogger Ailsa at Where’s My Backpack? that today is an international Take A Walk in a Park Day, there seemed no more fitting place to feature. 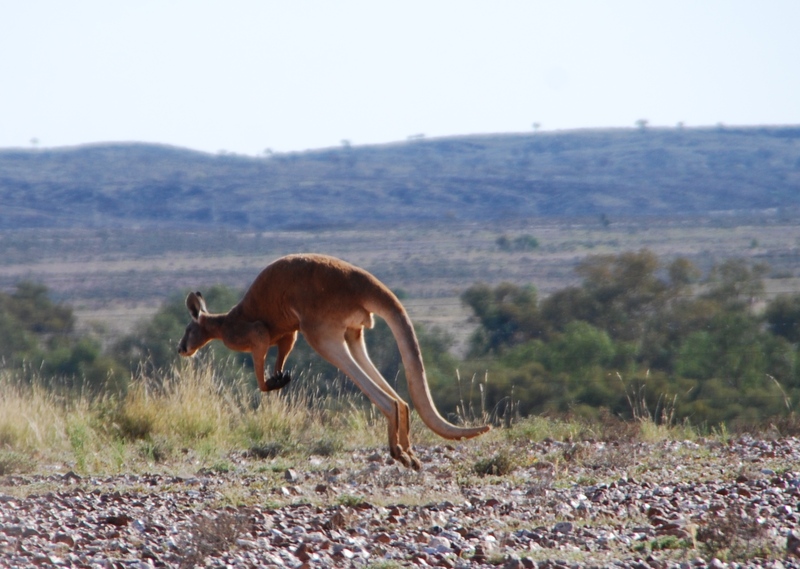 Of course, not all Australian national parks are like this. 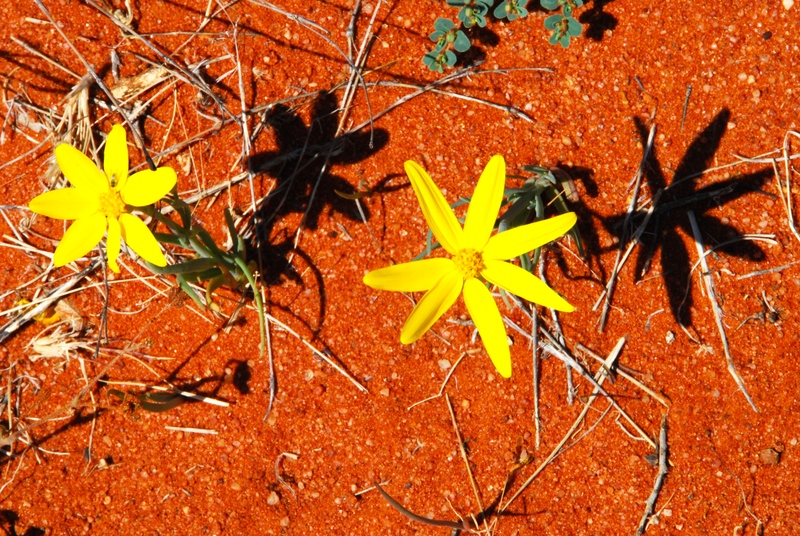 Some are green and lush, far removed from the arid and mesmerising beauty of the outback. 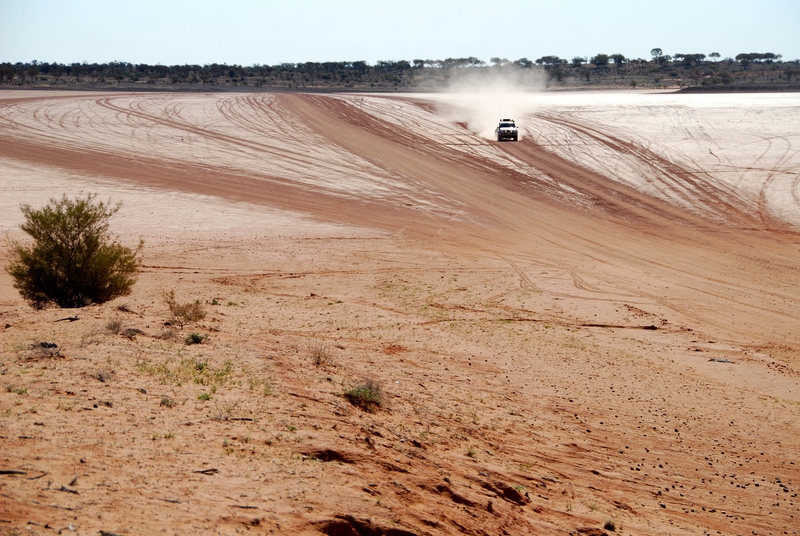 To get to Cameron Corner from the tiny town of Tibooburra means driving through a landscape almost surreal in places. Some parts of the road are 4WD only. This diverse landscape is populated by large red kangaroos, emus and other wildlife and includes the incredible Waka Claypan, glistening white under a brutal sun. 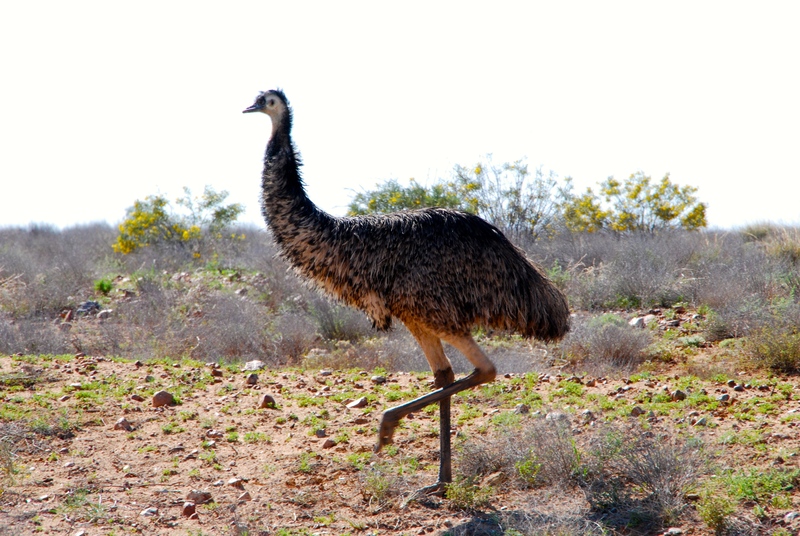 Sturt National Park is named for the explorer Charles Sturt, who travelled through this area in 1845 as part of an inland expedition. 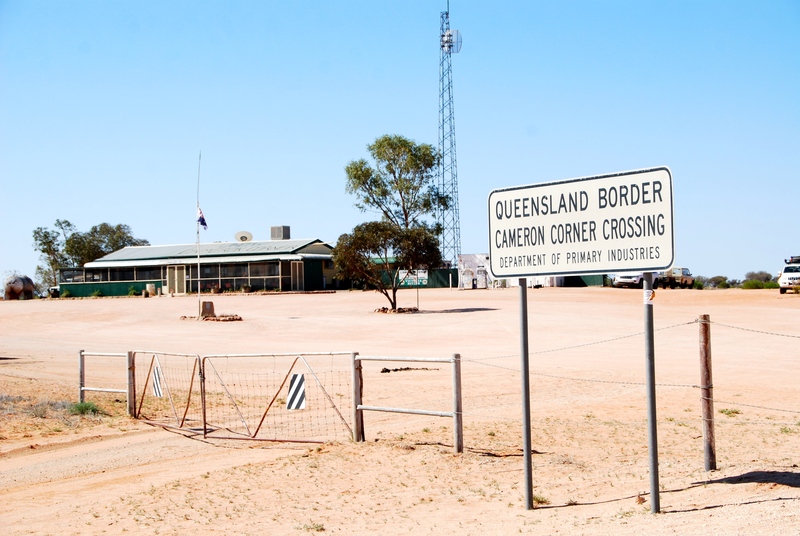 Cameron Corner is named for John Cameron who surveyed the Queensland border in the 1880s. 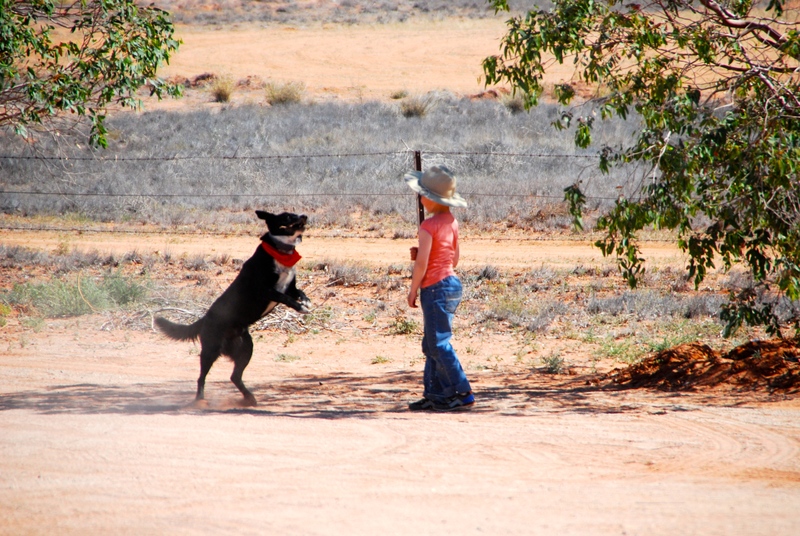 The Dingo Fence was built in the 1880s to keep roaming dingos away from the sheep grazing on pastoral land. Today, at Cameron Corner there’s a general store and pub, with a “tri-state” golf driving range. You can camp there or stay in pretty basic cabins. And even though the only real way to see this remote national park is to drive there, stopping the car and getting out to really look at things has many rewards. That brings back memories Lee. I loved my visit to Cameron Corner and seeing the dingo fence. Such vibrant colours out there. Thank you! Hard to go wrong with a landscape like that! Exceptional. I’d love to roll in the red soil. Just like a dingo would? You’d spend a lot of time getting the red dirt out of all the nooks and crannies, Tommy!